There are three ways to repair tatami; Uragaeshi (turn over the omote), Omote-gae (re-covering), and replacing individual tatami. It depends on the damage and the application. We can let you know once we have an understanding of your tatami. New tatami means the entire mat is replaced. Because each space is different and the angles are slightly different, the space has to be measured. Exact measurement ensures the tatami will fit without gaps. 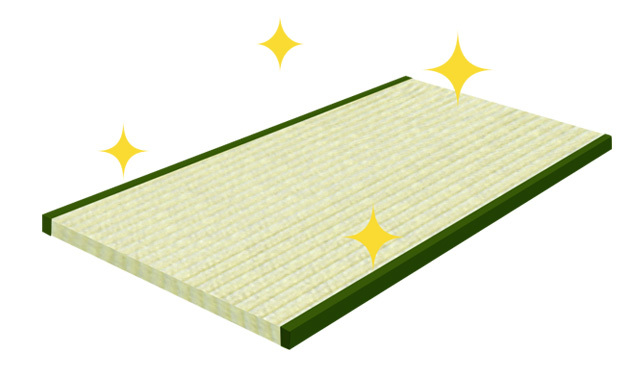 Once tatami has obvious indentation, or has no elasticity (bounce), it is time to replace it. Obviously, once tatami been effected by termites, corrosion, mold, and mites it needs to be replaced, this can not be repaired. On average the tatami base needs to be replaced every 20 years but this depends on how the space is used and environmental conditions. The omote is removed from the base and replaced with a new one. 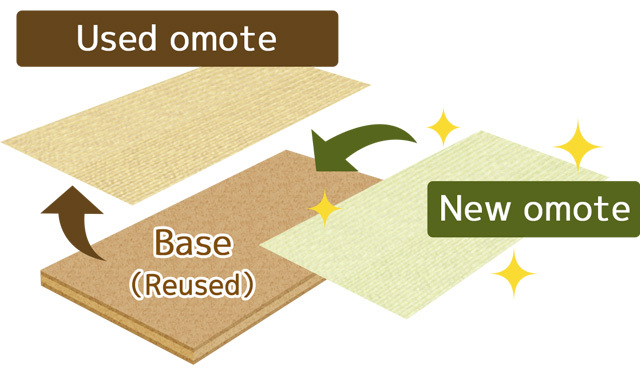 Once the omote is badly scuffed, threadbare, or you can see surface is warped it needs to be replaced. Depending on the quality of omote and how frequently the room is used, it is recommended to recover five years after turing over the omote (uragaeshi). 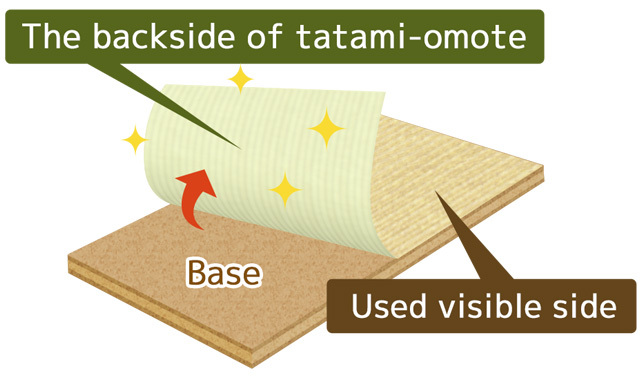 If the base is damaged it is recommended to change the entire tatami. Both sides of tatami-omote can be used. In uragaeshi, we remove the existing omote, reverse it, and re-attach it to the existing base with new heri. Turing over the omote works only if the visible surface is in good condition. This is normally done 3-5 years after the new tatami is installed.